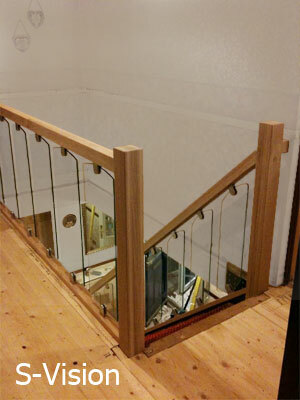 >Universal 8mm Toughened Glass Balustrade Panels. > Individually designed panels to suit staircases with pitches from 38º to 45º. look that will set your staircase apart. > Contemporary Square Profiled Handrail , Baserail and Newel Post sections. 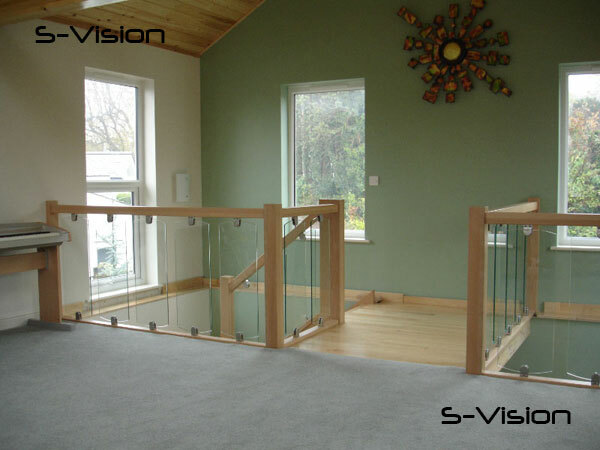 S-Vision Glass Balustrading Panels offer Flexability with the unique radiused edges to the top and bottom of the panel allow the S-Vision system to work on staircases with pitches from 38º to 45º..
>S-Vision is suitable for domestic stair pitches between 38º to 45º, and handrail heights of 900mm for stairs and landings. >The Glass clamps are rated for Commercial use. >The Landing Panels are 300mm Wide. >The Rake Panels are 200mm Wide. Fusion Handrail System Fusion is a revolutionary new stair balustrading system produced from a combination of timber, metal and ABS plastic components. 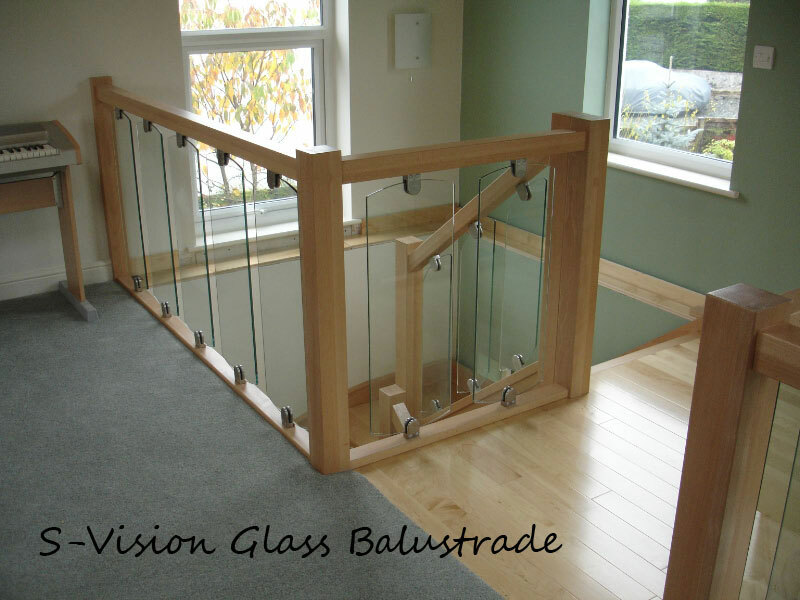 Fusion is currently the leading range of contemporary stair balustrade components available on the market today. This system offers exeptional value and has the widest range of fittings to cope with most situations. 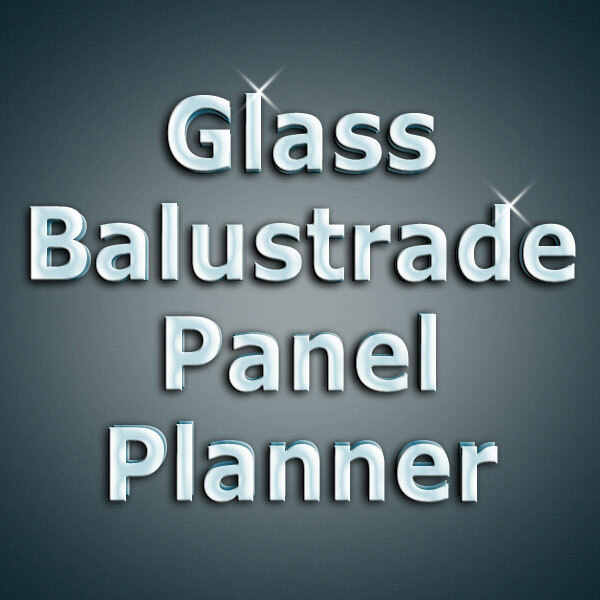 Online Shop Tradestairs.com is our online shop facility to buy stairparts and standard specification staircases you will also find our range of spacesaver staircases for loft conversions and the Gamia range of spiral staircase kits we offer. Staircases As one of the Uk's leading staircase manufacturers visit our main website to find out more. 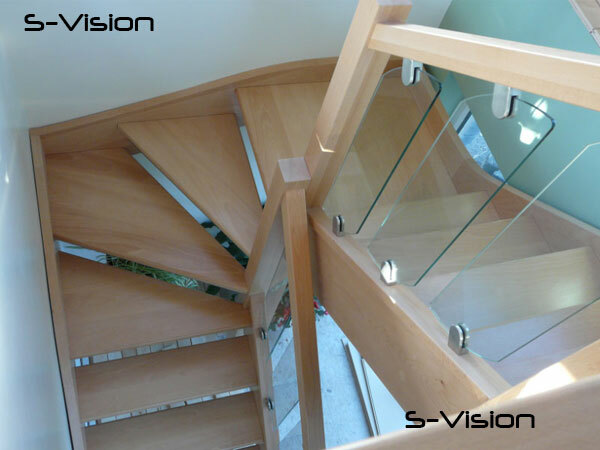 Ikon Stair balustrading Ikon represents a totally different approach to stairpart design - Using mirror polished stainless steel and Oak it is simple yet striking, moreover it is modern yet retains the beauty of natural Oak for those who value the look and feel of wood. Stairparts To see a more complete range of the stairparts we offer including the Slender, Quays and Modus range of stairparts.